Happy Friday Eve, Dolls! This week is flying by, but that's ok by me. The weekend is almost here and that's super exciting! 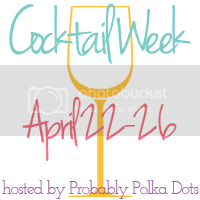 I thought I'd continue Cocktail Week since Nicole is serving up lots of Cocktails over at Probably Polka Dots. 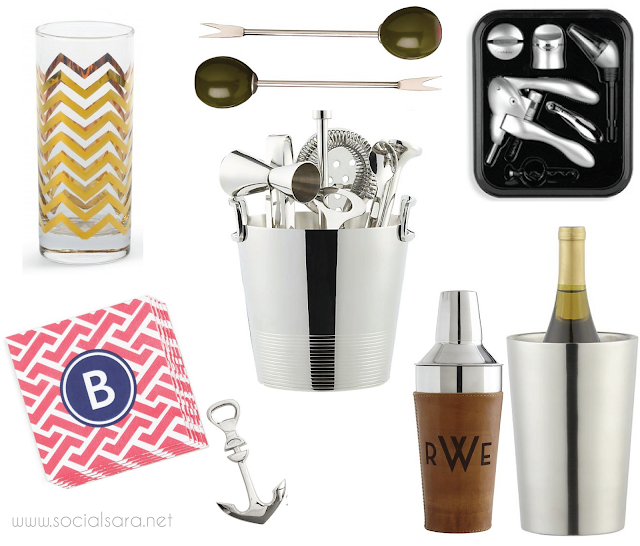 Here are some of my barware favorites that my home bar is always stocked with. I'm a pushover for fun barware and I love a good cocktail party. The Husband loves mixing drinks and I have a cocktail napkin collection that will put our neighborhood bar to shame! Crate and Barrel is my go-to place for casual barware but C.Wonder and Mark and Graham are close seconds. For starters, this bar set is essential for mixing cocktails. We use ours all the time. It comes equipped with everything you need...even an ice bucket! Hey, wine drinkers, listen up...if you don't have the Rabbit Cork Screw set, you MUST get it before you open your next bottle of wine, which may mean you need to get it today. It's fool proof and never fails, even with those tough synthetic corks. Don't discount wine coolers as there's nothing worse than warm white wine. Plus, they are great for parties. I add ice cubes and a little cold tap water in the bottom to keep wine nice and chill. Where do you shop for barware? Any favorites here? Here's wishing you a beautiful Thursday. And without further adieu, Cheers! Linking up with Nicole for Cocktail Week. Hop on over for more Cocktail themed posts. LOVE LOVE LOVE those glasses!! and the monogrammed napkins! Such a fun idea. I love those napkins. I am a monogram fool right now. Shhhh...don't tell, but I'm using my new one on basically everything. I have an insane amount of cocktail napkins too!! I'm a sucker for them when a see them! I love those highball glasses! Cheers friend! How fun is this collection! I love those napkins!! Want!! Great blog sweetie! I'm following you now on bloglovin...hope you can do the same! !